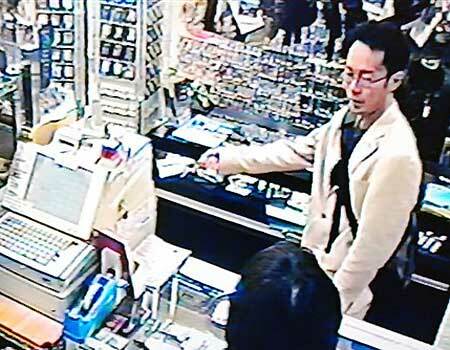 Tomohiro Kato gestures with a military knife at a surplus store in Japan. Yahoo! Japan has made the decision today to ban sales of all daggers on their site due to fatal stabbings in Akihabara last Sunday. At the time the ban went into place, there were 3 daggers removed from the site. Yahoo! Japan is also considering banning other types of knives on the site. Did a search for daggers on Yahoo! Japan’s shopping area and there are still a bunch of swords and ceremonial small daggers, but I didn’t see many military type daggers. I’m not really sure how I feel about it. This is sort of like putting a band-aid on the underlying problem. If it really came down to it, people don’t need these fancy daggers to kill. A simple kitchen knife would serve the purpose. Maybe a better solution would be implementing a weapons tax where the money collected would go towards crisis and support programs for those that feel they need help but have no where to go. What do you think? Via Mainichi.